Ratchet adjustment for easy fit. 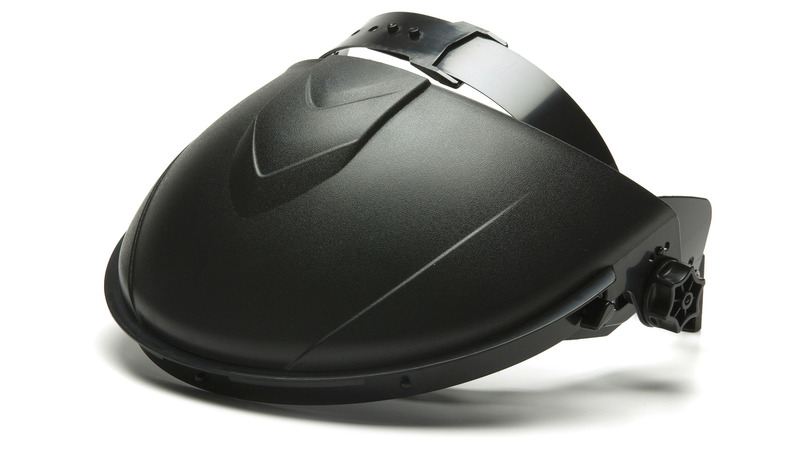 Pivoting action allows user to lift face shield while wearing. Adjustable pegs will accommodate a wide variety of face shields.